Chengdu and Sichuan Province is one of our favorite destinations in China when traveling with children as there are so many activities and beautiful places to discover. 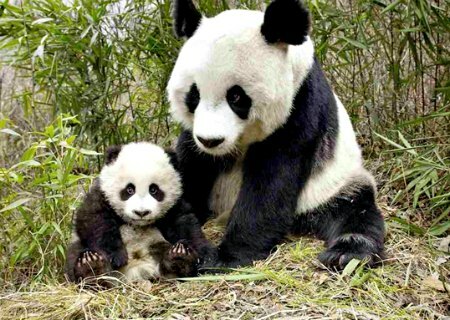 The Giant Pandas are of course the highlight that will never fail to be the hit with children and adults alike, but you can easily spend weeks exploring beautiful hiking trails and mountains, tibetan culture, UNESCO sites including humongous Buddhas and the incredible landscapes of the Jiuzhai Valley. This sample itinerary has been designed as an add-on to the China 101 for first-timers 13-day / 12-night tour. It keeps it simple and combines two of Sichuan landmarks, the "must-see" pandas and a day trip to the Leshan Buddha, the largest Buddha in the world. This tour works as well for one of those 72-hour visa-free stopovers in Chengdu if you have the chance! You can of course, tailor it for your needs and use in combination with other destinations. The tour is privately arranged for you and your family, there are no set departure dates, you choose when to go. You can contact Morgen from China Culture Tour with any inquiries and questions you might have. Here are the Day-by-Day Tour details for this Chengdu Family Adventure, remember you can add and subtract activities, destinations, extra days, etc. 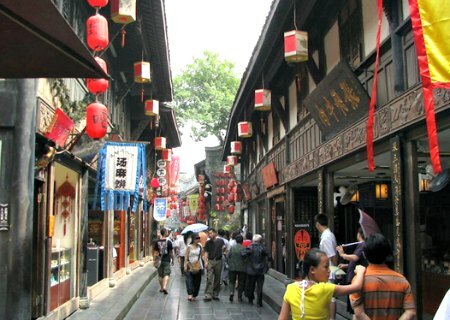 Arrive in Chengdu, you will be met at the airport and escorted to your hotel. The rest of the day is free and we can spend in town walking along Jinli Street, people watching at People's Park, visiting a tea house or sampling some great spicy Sichuan snacks. 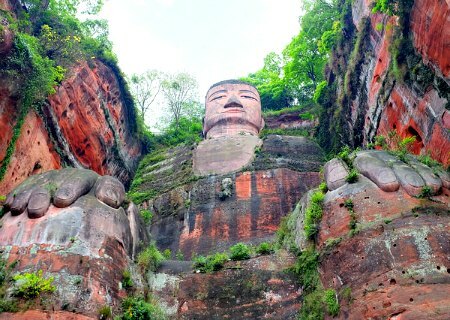 Dafo, the Leshan Buddha is the largest Buddha in the world and an UNESCO World Heritage site. There are numerous trails alongside the buddha with fantastic views of the surrounding area and the lake that the buddha oversees from above. Kids will enjoy climbing down to Dafo's feet and checking out the gigantic toe nails! 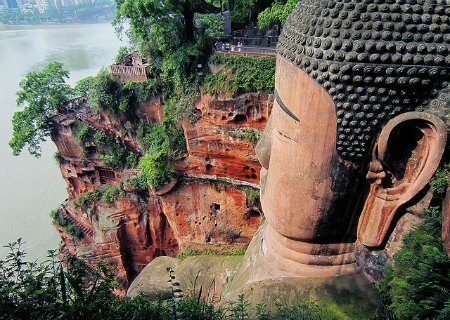 The Leshan Buddha is located in a beautiful park setting, about a two-hour drive from Chengdu. The entire park is dotted with numerous temples, trails and beautiful views and is a wonderful day-trip for the kids. Today we have an early start and head over to the Chengdu Panda Breeding Reserve, which is about half an hour away from town. 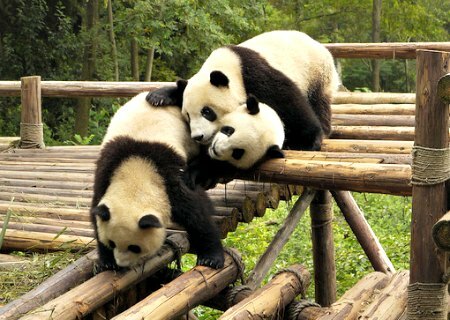 Pandas are most active earlier in the day and when they are being fed. There will be a chance for photo opportunities holding a panda which comes at an additional cost. We leave Chengdu with such beautiful memories... Our tour comes to an end! You can use the above as a base to start tailoring your own adventure, add-on to the China 101 Family Tour, or combine with any other destinations. As all other tailored family tours, the itinerary can be adapted further to fit your needs to easily add whatever interests you and to your preferred level of comfort. Below find some rates for the above tour with accomodations in three different hotel categories. Rates are based on double occupancy. Tour includes all transfers and meals as specified above, private transportation for you and your group and a private guide throughout. It does NOT include your airfare to get to China or the China Visa which you must obtain before you arrive in China. I'm not sure I would call this "standard", there is nothing "standard" about these arrangements! These hotels are certainly in our "affordable luxury" category, consisting of major international brands, centrally located with excellent ammenities or Guesthouses in a fantastic setting in the countryside. These are lavish establishments with off the chart service and ammenities. These properties have consistently attained the highest satisfaction ratings and are definitely worth a splurge!